There appear to have been as many reasons for joining the wartime Air Force as there were aircrew. The chance to learn to fly was of course a key motivation. Dennis Over gave me some of his reasons on the phone in June 2011: “Until the war, we were all going to be train drivers”, he said. But the Battle of Britain happened, and “then we were all going to be fighter pilots!” Too young to join up immediately, Dennis worked in a shipyard fitting out Air-Sea Rescue boats. Many of the crews of these boats were ex aircrew and he was also inspired by their tales of derring-do so when he became old enough he joined up, eventually serving as a rear gunner on 227 Squadron. For some, it was more personal. Cliff Leach, a 150 Squadron Pilot/Flight Engineer, wrote that “our main aim… was to stop our relatives being killed and our homes being wrecked”. To back it up, he had a newspaper photograph of what was left of his mother’s house after a German air raid on Liverpool in 1941. It’s easy to see how motivation to enlist in the Air Force could be stirred by seeing the effects of war first-hand – but until the Japanese entered the war Australia was not under direct threat of attack. 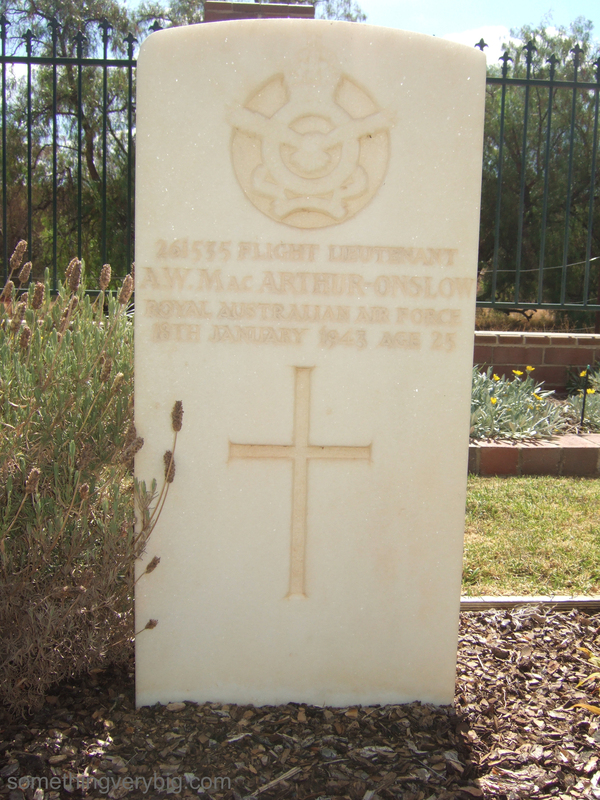 So what might have attracted so many Australians to join the ranks of aircrew in those first few years of the war? e) At 22 years I was the right age, and had no responsibilities. The call of ‘King and Country’ managed to reach all the way to Australia much like it had a generation before, and it was heard by thousands of young men. The chance of adventure and the need to be ‘in it’ certainly played a big part – in many ways similar to that which attracted so many of the previous generation to arms in the First World War. It is clear that patriotism was perhaps the overriding reason for men to enlist in the armed forces in general – but there were other reasons for choosing the Air Force specifically, over the other two branches of the military. Stories of the horrors of that earlier conflict were well-known and so many were conscious of the need to stay out of the infantry. Frank Dixon was a 467 Squadron skipper, and picked the Air Force out of a desire to avoid what he called a “man to man, face to face, knee deep in mud confrontation with cold steel”, the thought of which horrified him (C06-070-005). The Air Force offered what Danny O’Leary, a Vultee Vengeance pilot, called “a way out: accept the risk of death for yourself, but volunteer for a technical arm like the Air Force or the Navy, where you will kill clinically, at a distance, where you won’t see ” the whites of his eyes”. Phil Smith’s reason was perhaps more practical than many; he wrote that he decided on the Air Force because he thought that a pilot’s licence could be “a useful qualification” to have after the war (C03-004-004). As it happened after he was demobbed he never flew in command of an aeroplane again, but the sentiment remains. Deep down we all knew that this was a job which had to be done, and we young men of our generation, who had the fitness and schooling to do it, must step forward, for there was no one else […]It was our duty to stop this. And stop it, they did.